Today I woke up with a sore throat, so maybe the blindfold game yesterday has been a bit to exhausting for me. During the day it even got worse but I hope it won´t become a severe cold. In order to minimize the stress, I didn´t do anything in the afternoon. 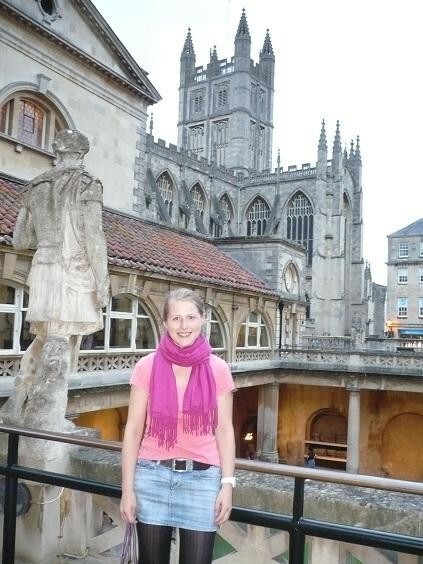 But in the evening we went to the Roman Baths – the major tourist attraction in Bath. It was a good decision to go there in the evening because at this time it was not as crowded as usual. The entrance fee is quite high, but one gets good value for one´s money. 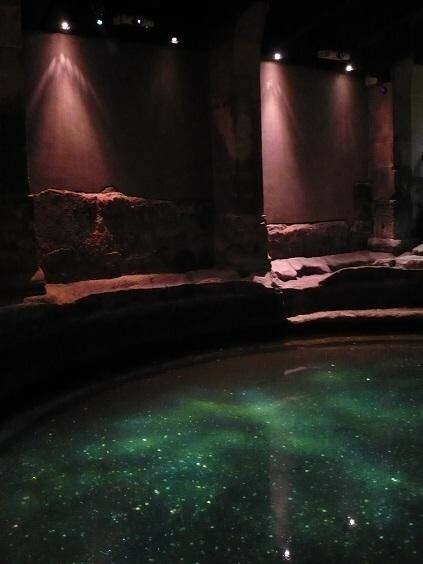 The whole complex is a well-preserved Roman site for public bathing and one can learn a lot about the ancient lifestyle and early customs. An audio guide is included in the fee and there are even some explanations for children. The atmosphere is enchanting! 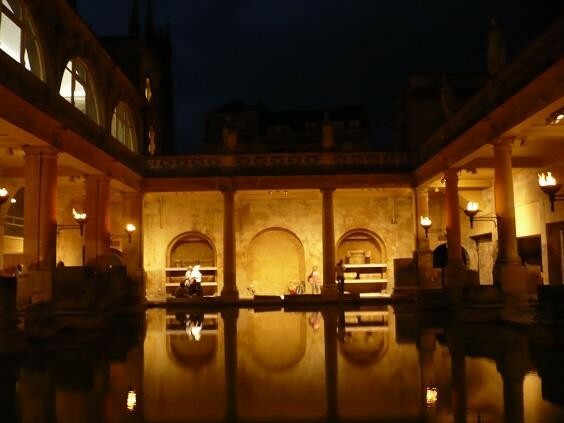 I tried to capture it on the pictures, but it is always better in reality… so if you have the chance to visit the Roman Baths, you should definitely do it!